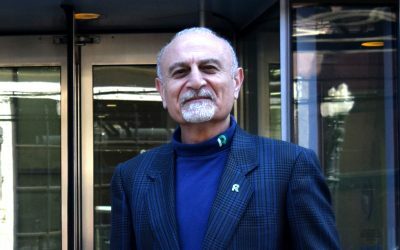 As author James Truslow Adams wrote in 1931, “Life should be better and richer and fuller for everyone, with opportunity for each according to ability or achievement.” The passage came from his “Epic in America” and though many historians agree the concept of the American Dream is rooted in the Declaration of Independence, his definition is about as fitting a summation as any. 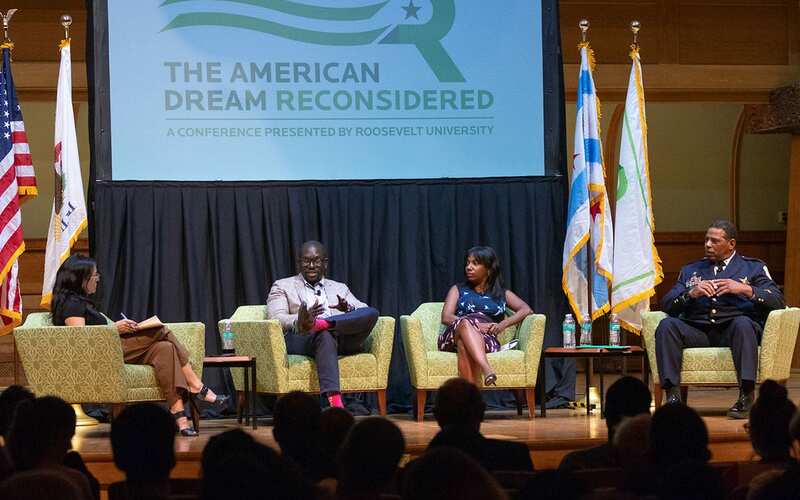 Eight decades since Adams coined the term “American Dream,” Roosevelt University has sought to revisit our national ethos with its annual American Dream Reconsidered Conference, hosted for a third time in 2018. 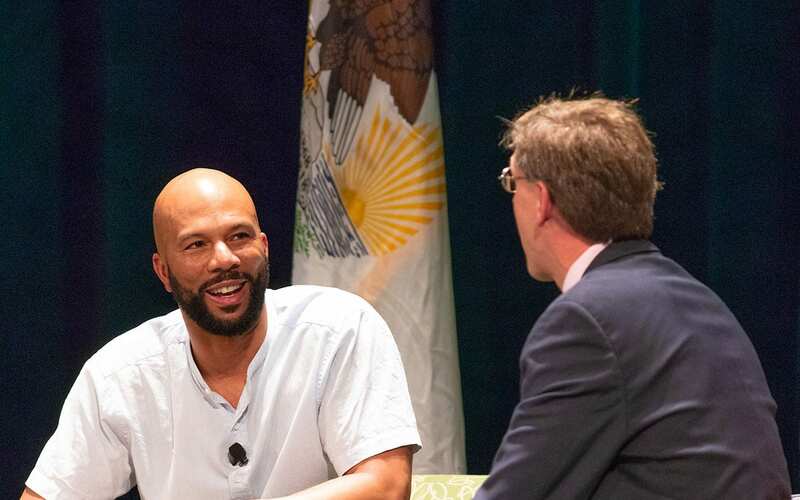 Highlights of this year’s conference, Sept. 10–14, included two keynote events featuring Eric Holder, Jr., the 82nd Attorney General of the United States; and Common, award-winning actor, rapper and activist. 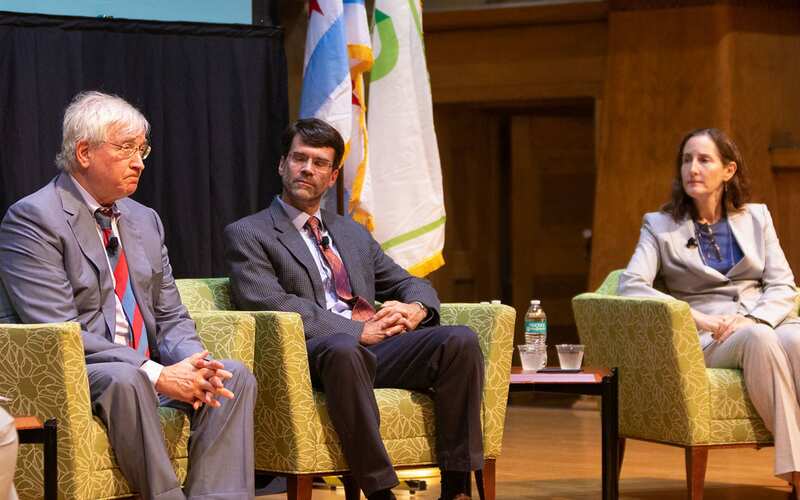 Smaller panel discussions were held throughout the week, focusing on big issues such as health care, civil rights and music, police and prison reform, and women in leadership amid the #MeToo Movement. 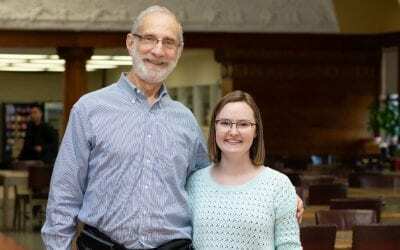 Like its two prior years, the conference also offered an opportunity for members of the Roosevelt community to volunteer at both the Chicago and Schaumburg campuses for American Dream Service Day. Activities included assembling food packs and other parcels for Feeding Children Everywhere and the Greater Chicago Food Depository, beautifying Roosevelt’s Wabash Building rooftop garden, and writing letters and calling senators to support full funding of the International Affairs Budget. What forms can the American Dream take? It’s a fluid term that has been shown can be interpreted in numerous ways. 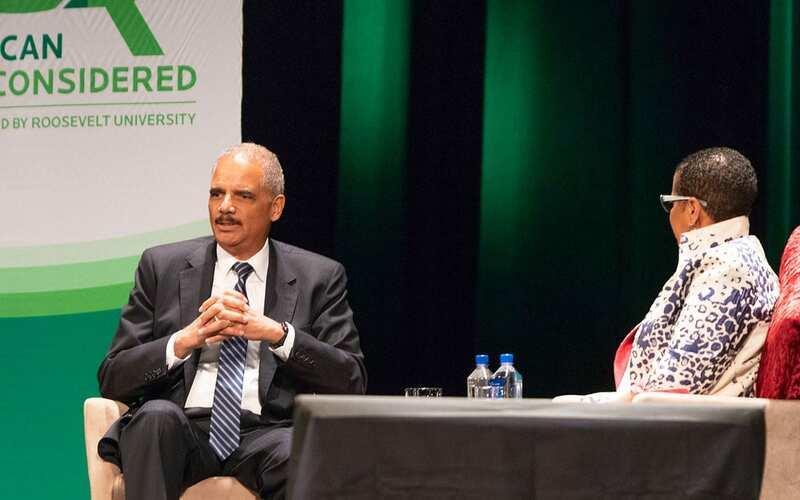 During his keynote discussion, “Public Service and Civil Rights,” Eric H. Holder, Jr. demonstrated just how dynamic the American Dream can be. The 82nd Attorney General of the United States, father, even basketball player, Holder held a lively and charming conversation with friend and colleague, former Seventh Circuit U.S. Court of Appeals Judge Ann Claire Williams, about the types of roles he has held as he has pursued his own American Dream. What forms can the American Dream take? It’s a fluid term that has been shown can be interpreted in numerous ways. During his keynote discussion, “Public Service and Civil Rights,” Eric H. Holder, Jr. demonstrated just how dynamic the American Dream can be. 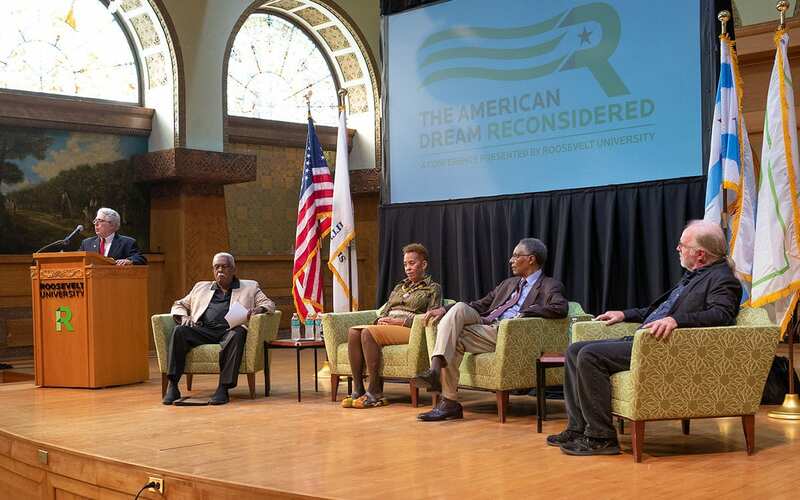 The inaugural panel of the 2018 American Dream Reconsidered Conference, “The Historical Oddity of American Health Care,” featured guest speakers Drs. Lawrence Brown from the Columbia University Mailman School of Public Health, Guian McKee from the Miller Center, and Stephanie Vomvouras from BlueCross BlueShield of Illinois. 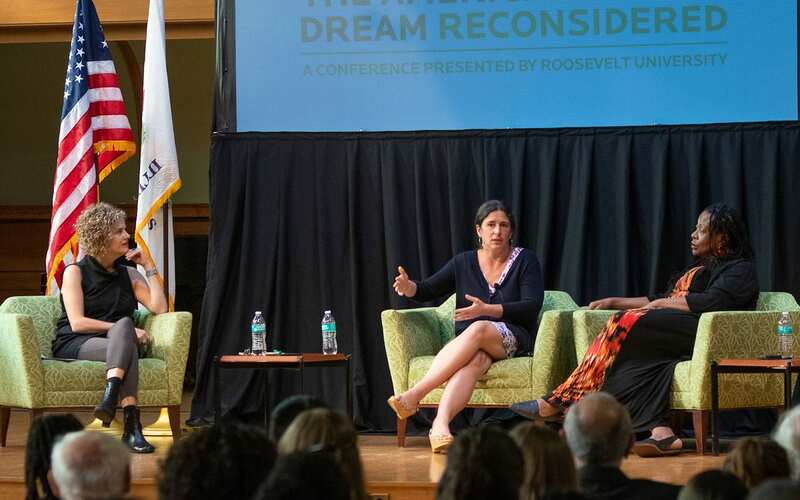 The panel, led by Roosevelt College of Pharmacy Dean Melissa Hogan, delved into the post-World War II history of American health care and how historical, institutional, ideological and political factors shaped it into a system unlike any in the industrialized world. During times of great discord, and in particular the Civil Rights Movement, few things can galvanize a people quite as effectively as music. This was the thesis of the Civil Rights & Music discussion held on Sept. 11 in Ganz Hall as part of the American Dream Conference. 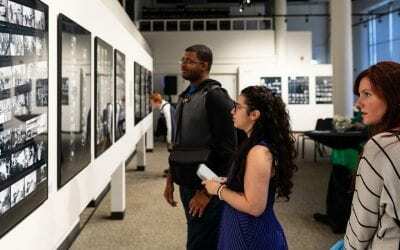 From artists such as James Brown and Sly and the Family Stone, to Nina Simone and Gil Scott-Heron, music builds community and a sense of purpose. It inspired millions to fight for their rights and stay the course in a battle that is far from over.